You can now drill holes in those more difficult, hard-to-reach nooks and corners. Enhance the functions available to you with your Drill All drill bits on your drill or driver (note: all sold separately). 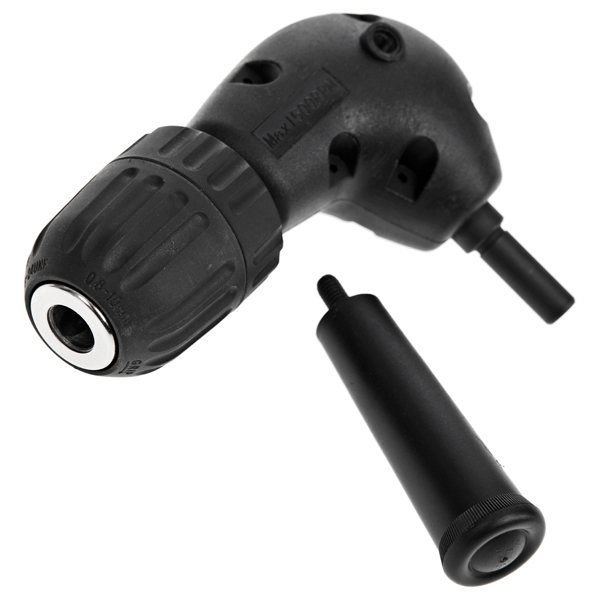 When used with your cordless drill-driver (with chuck diameter 1.5mm > 10mm), this right-angled drill attachment enables you to drill holes and screw at an angle of 90 degrees; and can be rotated either to the left or right. Warning Please keep out of reach of children.